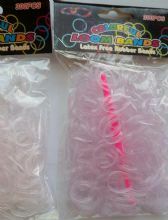 OFFER: 20 coloured loom band S hooks FOC with each pack of bands. 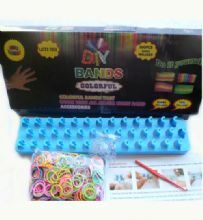 Loom band kit with rainbow bands, hook & clips. 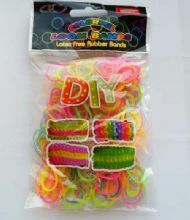 Loom Bands. Blue. Refill pack of 300 with hook & 'S' Clips. Loom Bands. Green polka dot. Refill pack of 300 with hook & 'S' Clips. Loom Bands. Light Brown. Refill pack of 300 with hook & 'S' Clips. Loom Bands. 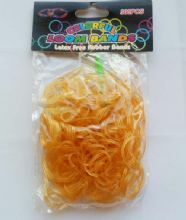 Orange Refill pack of 300 with hook & 'S' Clips. 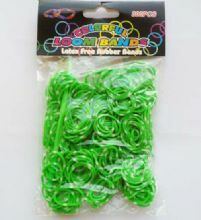 Loom Bands. Purple. Refill pack of 300 with hook & 'S' Clips. Loom Bands. Rainbow. Refill pack of 300 with hook & 'S' Clips. Loom Bands. White/Pink. 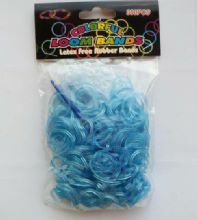 Colour change Refill pack of 300 with hook & 'S' Clips. Loom Bands. Yellow. Refill pack of 300 with hook & 'S' Clips.